Rice farmers on the hot, dry plains of northern Ghana would seem to have little in common with dairy and maize farmers in Kenya’s verdant Rift Valley: they live in different environments, sell different crops, and draw on different resources. Is it possible to design a program that has a positive impact on both groups? Companies and their allies in the fight against poverty are increasingly facing questions like this as they try to replicate their projects in very different settings. Fortunately, we know that it can be done, because the Mobile Training Unit (MTU) project, TechnoServe’s partnership with John Deere, has done it. Using a similar approach in both countries, the project has helped rice farmers in Ghana to more than double their per-hectare profit margins and cooperatives in Kenya to increase their profits by an average of 102 percent while increasing the value of payments to farmers by 62 percent. In both countries, new market linkages have been formed: farmers are purchasing more inputs, accessing more loans, and signing more marketing contracts. Governments in both countries have embraced the project. When evaluating the different communities in which you are planning to implement a project, identify their shared needs. 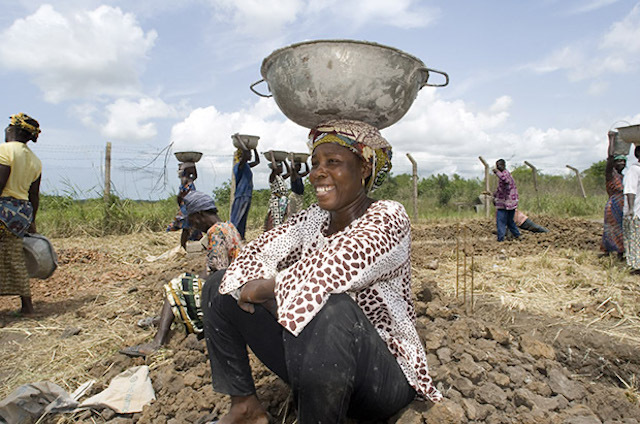 For example, while the exact balance and scope of market failures can differ, smallholder farmers across sub-Saharan Africa (and really, around the world) struggle to find financing for inputs, search for markets that pay a stable price, and face the uncertain consequences of climate change. The MTU Project has addressed those issues in both Kenya and Ghana. The project combines agricultural training and capacity building with work to develop a supportive ecosystem for smallholder farmers in several important agricultural value chains (dairy, horticulture and maize in Kenya; rice, sorghum, maize, cowpeas and soy in Ghana). Display plots, field days, and the mobile training unit itself – a truck used to screen videos and host workshops – all provide farmers with tailored agricultural information designed to improve access to markets and market information and improve economic resilience. At the same time, the project staff works to build the capacity of financial institutions and input dealers to work with smallholder farmers, while also creating linkages between the farmers and agricultural processors. Of course, these solutions were tweaked by the project leaders in Kenya and Ghana to fit the specific circumstances in each country. But ultimately, both approaches stemmed from a common need. Though Kenyan dairy and maize farmers and Ghanaian rice farmers need different types of extension services and information, the core model for disseminating them can be the same. We have found that smallholder farmers in many different environments respond positively to hands-on training and demonstration plots, for instance. They have also embraced video as a powerful channel for training. 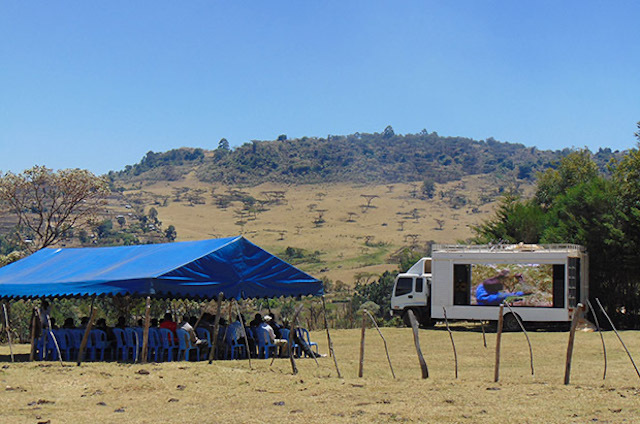 As one local project partner in Kenya said, “When farmers see something with the video show, it sinks in more than just hearing and bombarding them with a lot of words.” The mobile training unit is a particularly novel type of attraction in rural communities, drawing people in and assuring high turnout. In both countries, it is an effective platform that can be replicated elsewhere, since it is often easier to adapt the content of a message than the means of delivery. One of the successes of the MTU Project is that participation has exceeded expectations: in the project’s first phase alone, it reached roughly 20,000 farmers, surpassing the target by more than 40 percent. Much of this has to do with leveraging efficiencies in how the training is delivered. The MTU program works with existing structures (farmer business organizations) to reach smallholder farmers, making it easier to organize trainings and drive attendance. The MTU itself is an innovation promoted by John Deere that allows TechnoServe to reach more people. An approach often used in health outreach, it was adapted in this case for agricultural training, and has shown great promise for future work with farmers. Of course, simply transplanting a program wholesale from one country to another will not work. TechnoServe has local experts, with years of experience in the agricultural sector, implementing the project in Kenya and Ghana. However, by identifying common needs, effective channels, and efficient approaches that can be applied in multiple environments, it is easier to scale a project without completely reinventing it in each new country. This will allow companies to replicate their CSR projects more easily across borders, as well as attract a variety of partners, who may be more likely to contribute to a proven model. This, in turn, will positively impact even more lives across diverse communities and environments.